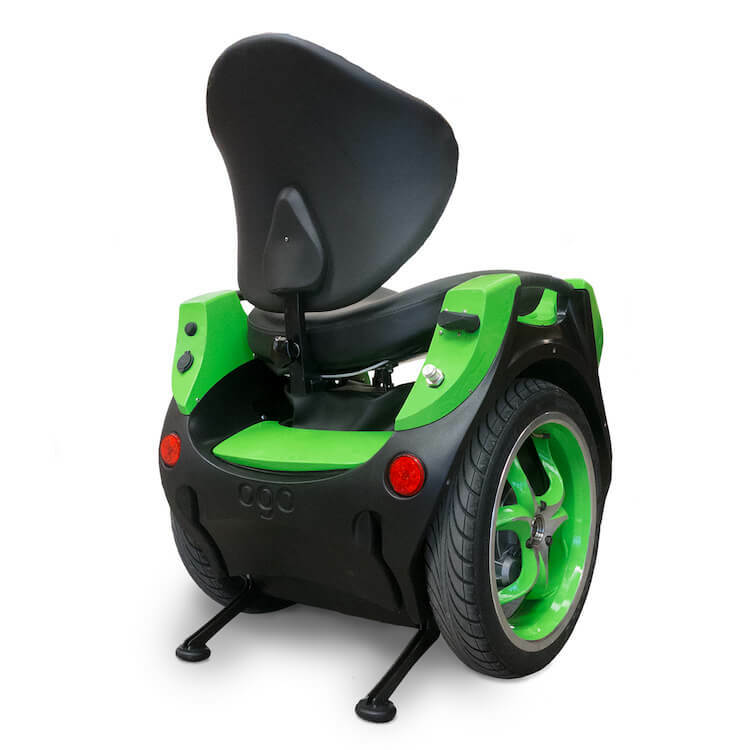 We have teamed up with the sole UK Mainland OGO, (Now OMEO) Evolution Wheelchair agent to promote this cutting edge, hands free and seated mobility device. It is the first machine of its kind to offer ASC (Active Seat Control) which means no unwieldy and cumbersome steering column to contend with. 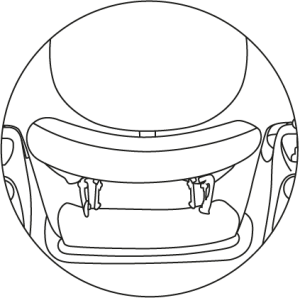 All direction controls are instinctively applied through seat movement alone offering a unique ‘Being At One’ feeling that simply has to be experienced. There is also discreet joystick control for use in tight confined spaces. The OMEO uses a fail-safe dual electrical circuit system which constantly monitors operation and provides notifications such as battery level. 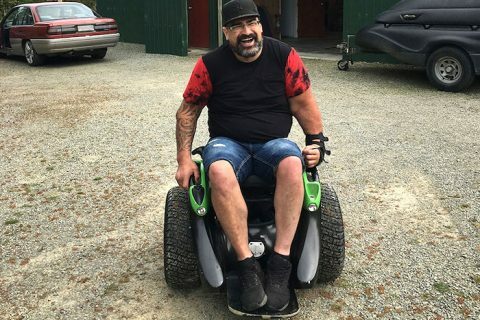 Further safety and stability is implemented via individual self-levelling stabilising legs which makes transferring from a wheelchair a breeze, even on hilly or rough terrains. 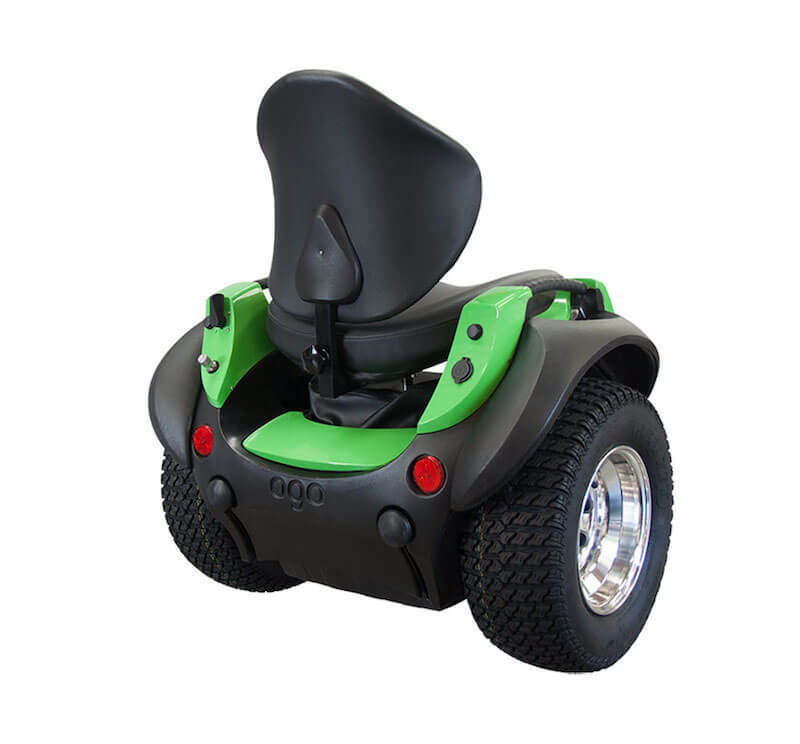 The OMEO is equipped with a very powerful two-wheeled self-balancing system which allows for travel on smooth or rough terrain, steep inclines and deep troughs whilst always keeping the rider level and secure in the seat. This power and stability also enables full access to beaches, parks, tracks, pathways, shops and more, alone or with partners and friends. And being hands free, you might want to try your favourite court sport or outdoor sporting pursuits on wheels!! The optional Off-Road kit can further enhance the wheelchairs capabilities, taking you to places you never thought possible. Other useful features as standard include a USB phone charger, a storage compartment, adjustable seat and footrest heights, transport tie down points and a multi-purpose holder for cups, phone, umbrella or even fishing rods. Front and rear LED lights are also included as standard. OMEO is not a cheaply made Far Eastern import. 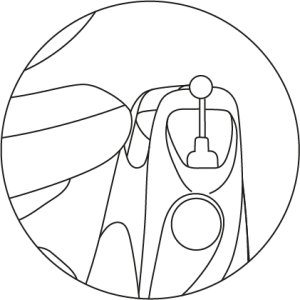 Design and manufacturing all take place within New Zealand using only top quality components and skilled craftsmen, however, full service and backup is provided throughout the UK. 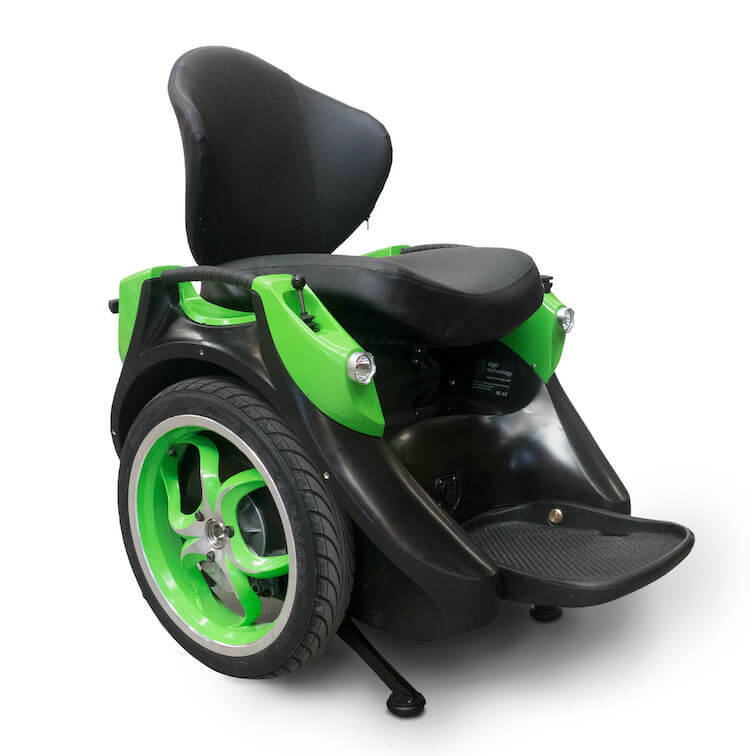 The OMEO is an ideal mobility solution for those with disabilities looking for a high specification, adaptable and unique wheelchair. 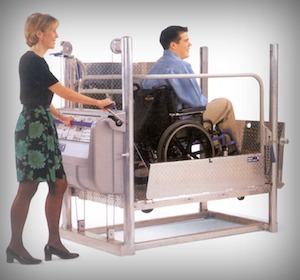 Magic Mobility Ltd has proven results for sourcing and promoting innovative and practical mobility products. Please call Phil on 07733 438555 to find out more about this amazing machine. We operate a strictly no hard sell policy and no pushy reps will call you. OMEO was modelled to distract from disability, focussing more on practical design and individuality of the rider – A far cry from the typical, dull and clichéd wheelchairs and mobility scooters seen so often today. OMEO is available in a wide choice of body colours to suit your personality. Once the seat is unlocked, you can control the direction and speed by shifting your weight to the left or right and forwards or backwards. To get used to seeing how your body can move the machine, we recommend you hold onto the handgrips until you feel more confident, but after a little practice, the chair can feel like an extension of your limbs and you can literally go completely hands-free. The forward and backwards movement is controlled by shifting your body weight forward or backwards. You then use the Joystick to turn left and right. This is really simple to do and is great for manoeuvring the chair in tight confined spaces. As with full seat control, joystick control is very intuitive and takes very little time to master – In no time at all you’ll be turning on a sixpence! The off-road kit is a very popular add-on that enables you to take your OMEO almost anywhere. The oﬀ-road kit includes wheel guards and all-terrain wheels that are suitable for all outdoor use in a wide range of environments. The wide flared guards and bigger tyres increase the overall width of the OMEO (to 850mm/33 inches) meaning that it will not go through standard doorways. Because the tyres have no crown and operate at low pressure, they provide a great feeling of suspension, a smooth ride and great traction on many surfaces including soft sand, gravel and dirt. The turf style tread of the all-terrain tyres means the OMEO off-road configuration is gentle on delicate surfaces (particularly in a straight line), such as lawns, golf courses and other fragile ﬂora. The Off-Road Kit can be purchased for around £275 with your OMEO purchase or as an after-sale accessory. To ride OMEO you will require strength in your arms and hands to transfer from a wheelchair and to operate the joystick if required (this can be fitted on left or right) Importantly, and unlike other self-balancing machines, leaning in any particular direction to control motion is not a requirement, meaning you can ride OMEO like a pro with zero core stability. You will however require a good sense of balance, be able to operate the OMEO in such a way to avoid accident and have a body weight of no more than 110kg. (17 stone, 4 lb) including any cargo. It is advisable to wear a safety helmet and also to obtain 3rd party insurance. Customers are welcomed into the expanding OMEO community and encouraged to share their experiences. This keeps focus on user needs and continues to fuel drive and evolution. Our partner and Authorised UK Agent can assess needs, arrange trials and help with explaining all features of the OMEO. If you have a larger hatchback or estate car, OMEO can be driven into it single handedly with the use of lightweight ramps or by the use of a hoist. 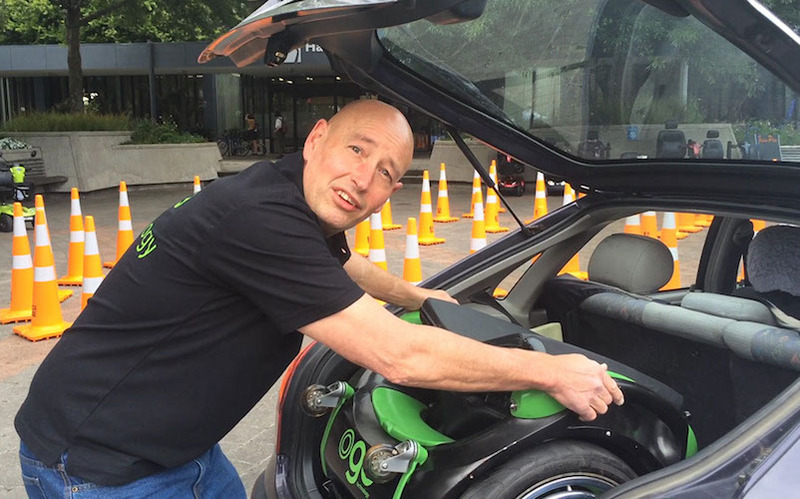 A car with a large recessed boot would require two able bodied people to lift OMEO into place or a Wheelchair Adapted Vehicle is also an option. Kevin Halsall the founder of OGO Technology, and a gentleman called Marcus met when Marcus was teaching Kevin’s daughters at Otaki College. They found that they both shared an adoration for field archery, and it was over this regular pastime that their companionship truly developed. 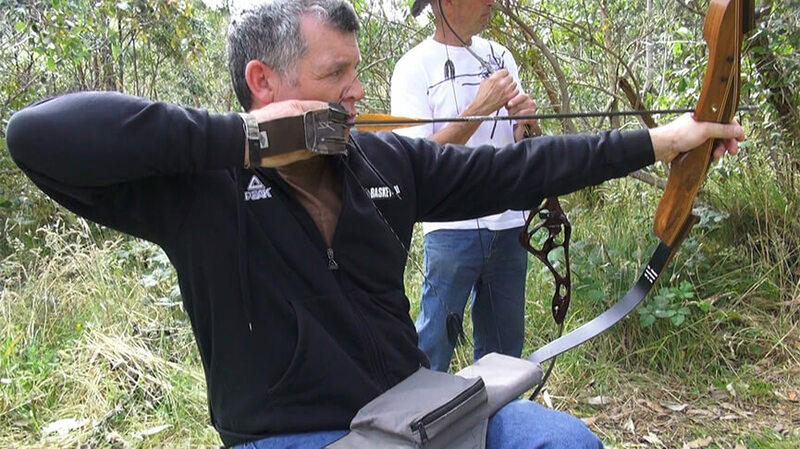 Their neighbourhood Kapiti Archery Club offered an especially interesting landscape, fusing local bush trails, forested regions and open prairie. 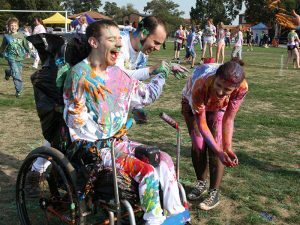 Kevin watched Marcus, a paraplegic since 2003, battling through the harsh territory in his regular wheelchair, sapping his vitality and stamina. Simply needing to make it less demanding for Marcus, Kevin, a design engineer, set himself a task; to build a machine that would expand Marcus’ versatility and give him the ability to contend as an equivalent. Kevin’s research drove him to proven, self-balancing technology, and during advancement (while also doing planned work for his regular customers), Kevin used this innovation to develop the patented ‘Dynamic Seat Control’ system. 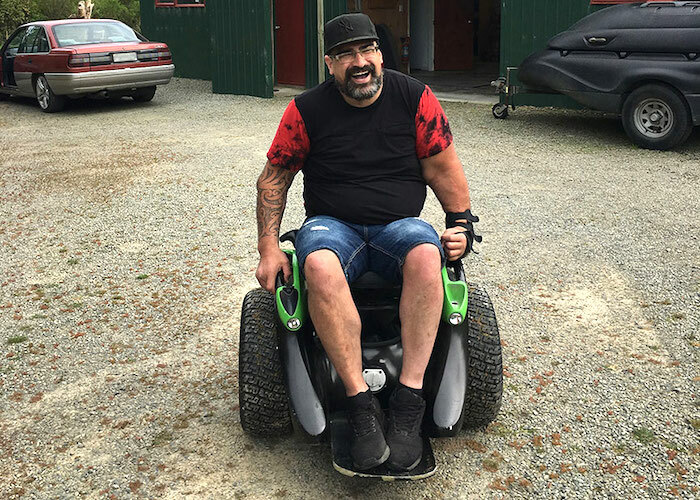 Kevin has lead four prototype models, making changes as he came to grasp the physical restrictions that come with limited mobility. 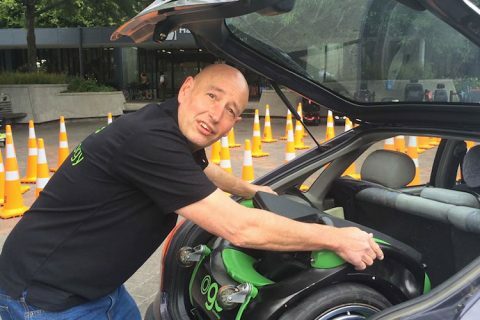 Marcus has been the enthusiastic test pilot from the early days and has been pushing the OGO now re-branded OMEO as far as possible, giving Kevin feedback and ideas on execution and further development. Up to now, many individuals have tried the OMEO Evolution 1 with instant joy, simply take a look at their grins on our video page. A smile of new potential, opportunity, autonomy, occupational and recreational openings plus new self-confidence beckons each rider. Its called the ‘OMEO smile’. Testing so far has been exceptionally fulfilling. The OMEO Technology team have met huge numbers of magnificent and focussed individuals, all who have been truly inspired with how the OMEO functions for so many differing levels of capacity, needs and wants. Kevin and his group plan to keep on building up these thoughts and furthermore manufacture cost effective accessories to make life even simpler and more enjoyable within the personal mobility arena.